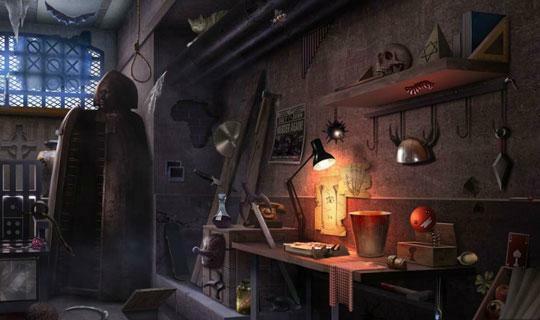 Most Gruesome Cases in Criminal Case Article - Jeux d'Objets Cachés ! Évaluez cet Article Homicide is never pretty, but there are times when the creative minds behind Criminal Case have went one step further to make the murder more ghastly. So, here are some of the most gruesome cases in the game. 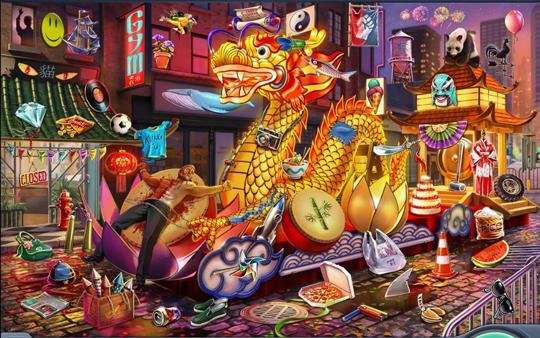 Despite being a Facebook game, Criminal Case doles out quite a fair share of gruesome homicide cases to its players. 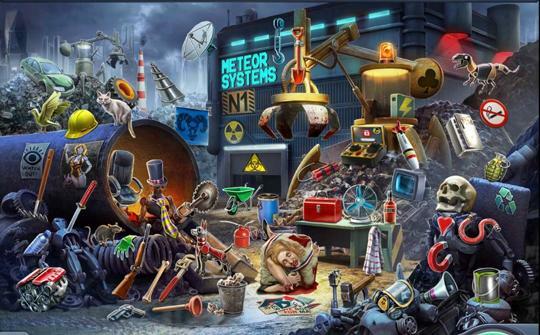 All of the gore is pretty much necessary as the game is, after all, a CSI-like hidden object game. However, there are some scenes that might go a tad bit further in terms of creatively contriving the demise of the victim in a case (Warning: This article is not recommended to be read after having a huge meal or while drinking a particularly hot beverage). Among all the cases in Criminal Case, A Deadly Game is possibly one of the top when you take into account its gruesomeness. The murder took place in the Financial Center in the city of Grimsborough. In this case, the victim was a homeless man and an ex-convict called Steve Wood, while the killer is a psychopath named Tyler. Under the false pretense of trying to help Steve, Tyler lured him to an eerie basement filled with all manner of torture devices imaginable. Tyler then acted out his psychopathic and sadistic fantasies on poor Steve by torturing the man, cutting off his fingers, ripping out his liver and eating it, and subject Steve to the infamous medieval torture implement, the Iron Maiden. If that case has yet to gross you out, you will definitely feel sick after playing through this equally gruesome case that is titled “After the Storm”. After the Storm is the 74th case in Criminal Case and it occurred in the musical Jazz Town, a district in the Pacific Bay. The killing was set in the turbulent times right after Hurricane Yves devastated the district, leaving ruins and chaos in its wake. Murder and violence aren’t uncommon at that time, but the manner in which the victim, a renowned jazz musician named Elmer Buttons, was killed will definitely give you goosebumps. After being murdered with his own saxophone, Elmer’s body was cut into pieces, spray-painted with/ shaped into musical notes, and hung among the cables that the Jazz Town’s tram system uses. This very graphic homicide was carried out by Elmer’s wife, Linda, who was angry and frustrated at Elmer for being “married” to jazz music for almost 3 decades. She also blamed her now-deceased husband’s inattention for driving her towards alcoholism. On the bright side, I guess this makes for a very good but disturbing lesson to not ignore your spouse after marriage. “Under the Skin” is yet another rather grisly case in Criminal Case due to its victim, the Russian community leader, Nikolai Kamarov, being partially skinned to death, and his body was later displayed on a parade float in the Inner City where a Chinese festival was taking place. His death was instantly yet falsely attributed to the Russian-Chinese feud and a manhunt was carried out in the Inner City to find the killer. However, when Sue Xiong, the leader of the Chinese community was kidnapped as well, the detectives (and you) will soon realize that the feud had nothing to do with this. Instead, in the turn of events, the murderer turned out to be Rupert Snow, the illegitimate son of both Nikolai and Sue. Anyway, this case was so repulsive that Judge Dante was sickened to his stomach and even Frank, your partner on this case, had admitted that the case was too much for him... even with years of experience as a homicide detective under his belt. The last but not at all less gruesome case in this game is “Uncivil Rights”. It is the 103rd case in Criminal Case and is the second case to be set in Innovation Valley in Pacific Bay. In this case, a recently reelected mayor, Mayor Arbor, has sparked fear and resentment with her stance on enacting a law to give robots equal rights as humans do. Her stance on the matter has created anti-robot unrest as the people are afraid that robots may one day take over their jobs for good. Due to this, Larry, an unemployed mechanic, decided that he had to do something to stop the mayor from ruining human lives. He knocked the mayor unconscious during an arranged and private meeting with her, and fed her to the car crusher while she was still very much alive. The image of the corpse of Mayor Arbor shaped as a compact cube is indeed an appalling scene that tends to stick to one's mind for quite some time. All in all, the cases mentioned in this article would make for a good horror story to keep your hairs on end. These types of more shocking homicide cases are rare and few in between the milder ones, and as long as you understand that these cases are all works of fiction, you should be fine. Hopefully, you won’t be deterred from playing the game as well. 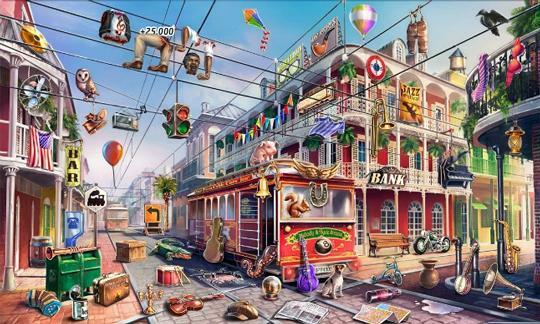 After all, Criminal Case is one of the best free-to-play hidden object games there is!